Lost Nigeria: Senongo Akpem uses found imagery to document his mother’s life in 1960s Nigeria (PHOTOS). My mother and another midwife weighing a small baby (l). My mother posing for pictures with children. One of the voids left behind in the digital age of photography is the excitement and mystery of picking up developed prints from a roll of film. 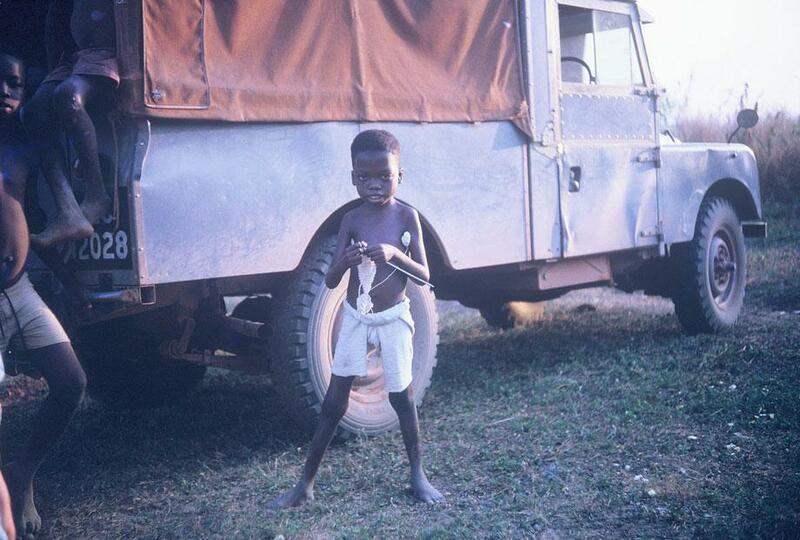 Imagine the thrill Senongo Akpem felt when he and his family discovered a trove of slide film taken by their mother, Emily, during her work as a missionary and nurse in Nigeria during the 1960s and ’70s. A family friend in Nigeria collected the film and had it developed in the United States. Since then, Akpem has started to edit the film, scanning images and uploading them to a website he started called Lost Nigeria. The images tell the story of his mother’s journey to Nigeria in the early 1960s, when she left her home in California to work as a missionary nurse at the Benue Leprosy Settlement. 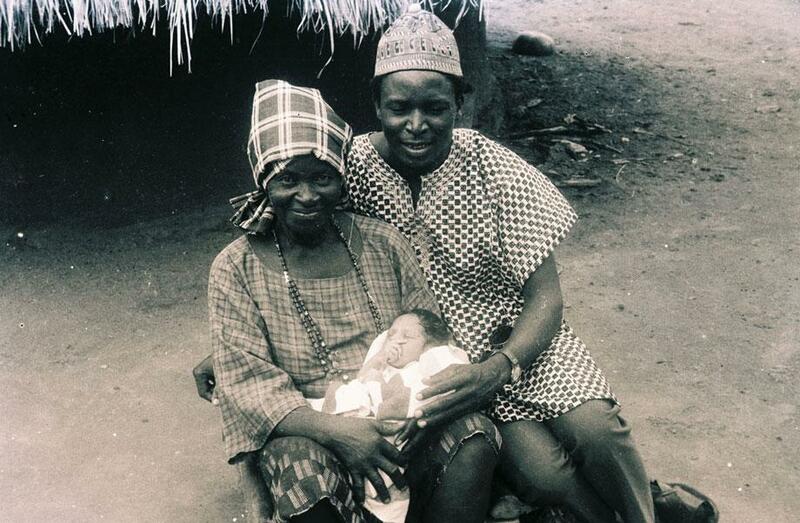 While there, she fell in love with a Nigerian reverend doctor and had three children—two daughters and a son, Senongo, the youngest born in 1979. The family moved back to the United States soon thereafter and lived between Michigan, California and Nigeria over the next decade. A hospital patient with my mother in 1961. Her hand grips the arm of her patient. Among the Tiv people of Nigeria, this is seen often, and signifies friendship and kinship. For me, this picture is deeply symbolic. In a gesture, it maps out what her future will be in Nigeria. Her embrace of the Tiv people was constant. I have no information on this young man, but the picture holds so much interest for me, and for my mother I’m sure. With the safari-style Land Rover in the background (note the painted-on license plate!) and the obvious roughness of the environment, the delicate knitting work in his hands makes quite a contrast. The sign at the entrance to BLS (Benue Leprosy Settlement). Even as a child, I remember this sign well. I spent my summers in and around the hospital, so we drove past it almost every day (l). Children outside a Benue Leprosy Settlement building. Many of the images document Emily’s early years in Nigeria, “when she was very much in love with Nigeria and Africa and my dad and with the idea of documenting her experience,” Akpem said. Initially, Akpem wanted to edit the images in chronological order, but because few dates were given, he decided to group them thematically. The site has a personal, cultural, and historical feel to it. Nigeria Airways was the flagship carrier of the new nation. It was started from the ashes of the West Africa Airways Corporation, and continued to operate until 2003, when a poor safety record and mismanagement brought it down. Here, my mother and one of her friends prepare to board a domestic flight to Kaduna, an ancient city in the northwest of Nigeria (l). A lion on the tarmac. This picture was most likely taken while my mother was on safari in Kenya. On one hand, the lion fits the idealized Western image of Africa, but it lies in a thoroughly modern environment. An independence Day parade. Local dignitaries ride in the car, as women walk behind, singing and dancing. Hope for the new nation was strong, and the country’s leaders promised a new, better, independent future. The joy and optimism you see here has largely dissipated, the victim of widespread corruption, mismanagement, tribalism, and military dictatorships (l). A young man stands with two women in matching outfits. The scenery behind them is well-kept. Note the cut stone corner on the building to the right, a sure sign of Western construction preferences. 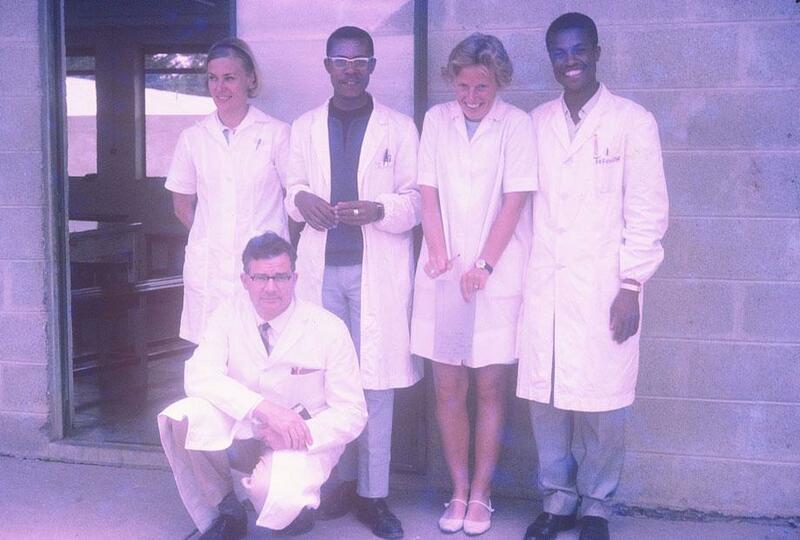 A group of five African and Western doctors pose for the camera. These collaborations were highly regarded by the churches and aid organizations, and the African doctors had access to some of the best-trained teachers and mentors in the world. In this shot, the real camaraderie between the doctors is on full display. Although Akpem said he sees and remembers his mother (she passed away in 2000) differently from many of the snapshots, they have also opened up a new window into her life. “I can see through her eyes what it’s like to live in a new country and experience Africa as a non-African,” he said. The images cover a period of 20 years from 1960 to 1980 and focus on personal, political, social, and cultural moments in both Nigeria and the United States, from Emily’s work at The Benue Leprosy Settlement to 1970s life in California to imagery of air travel and signage in Nigeria. My grandmother, born in Nigeria around the turn of the century, never spoke a word of English. Here, she holds my parents first-born, and the joy is all over their faces. Although we were never close to her because of the language barrier, she doted on us as any grandmother would, and this picture was just the start of that. 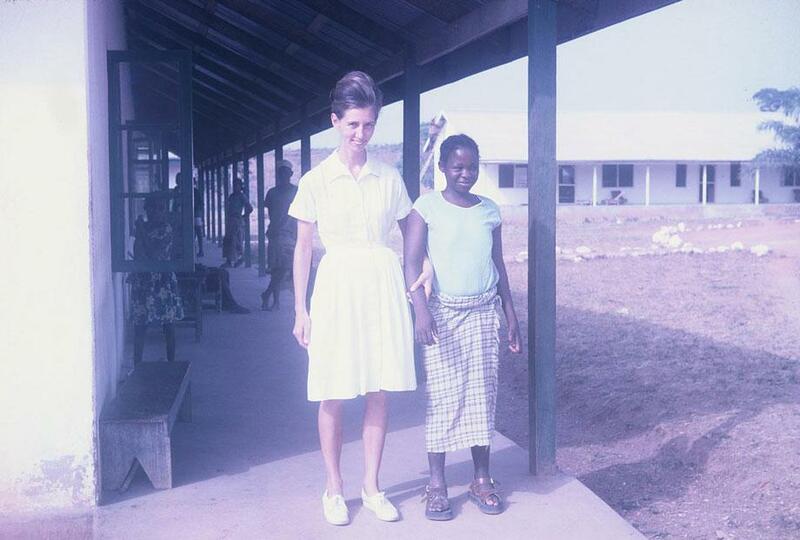 Not much information is available about this picture, but it was taken during her missionary work in Ethiopia in the late ‘60s. 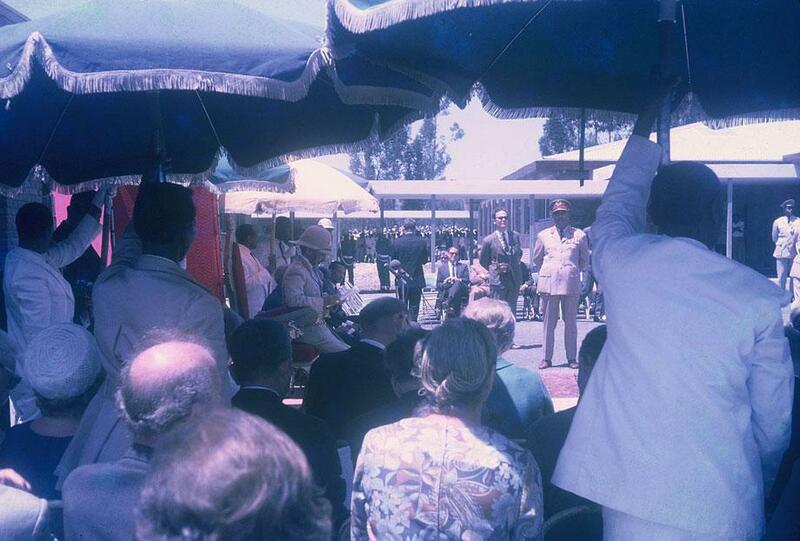 She moved to Ethiopia for a few years during the Biafran War. That civil war in Nigeria left millions dead, mostly of starvation, and during that time it was not safe for missionaries to live in the country. My mother was by this time skilled in the care of leprosy patients and those with physical deformities, and so moved to Ethiopia to travel and work as a nurse there. I often wonder why she did not stay, but perhaps Nigeria had a tight hold on her already. On a side note, it was while my mother was a missionary in Ethiopia that my father proposed to her. The mail system took three months to do a round trip, so he had to wait a long time to get her reply. When she returned form Ethiopia, they were married at the Benue Leprosy Settlement. Looking out over Yosemite National Park (l). On the beach. “Lost Nigeria” is also a melding of old technology with modern social networking. Many of Akpem’s relatives have been happy to share the images included on the website, but there has been another, surprising element to the project.